The entire article can be read in the book Your Dog's Golden Years – Manual for Senior Dog Care, edited by Jennifer Kachnic. When our dogs become seniors it’s time to return to them all that they have given to us through the years. Dogs age much faster than people and their life spans depend greatly upon their size. A year does not seem like a long time, but is equivalent to four to five human years. In general, the larger the breed or size of the dog, the shorter the life span. Smaller dogs generally become senior around the age of 10-12 and the largest breeds around 6-7. Dogs are considered senior in the last 25% of their lives. Those are the years they start slowing down, becoming less active and sleeping more. These changes often come with age, but they also can be signs of conditions that might benefit from treatment. Here are symptoms, treatment options, and most important, ways to prevent (or at least slow down) the progression of some of the top three common health issues with our geriatric pets. How often do we really look in our dogs’ mouths? Brush daily? Provide proper chew bones – which they actually use? Not as often as we probably should. Not surprisingly then, if there is one problem that almost every senior dog seems to have, it is dental disease. It’s a shame, because in comparison to some of the other afflictions that befall our aging friends, advanced dental disease is easily preventable. One of the best things you can do to ensure a healthy life for your dog is to take care of their teeth. Dental disease isn’t just a cosmetic problem; in advanced cases, your pet may not want to eat hard food or treats, may act restless at night or even have a soft bulge over the base of their cheek bone, a result of a tooth abscess. All you have to do is open up your pet’s mouth and take a look. Are there signs of gingivitis? Tartar or calculus (calcified tartar)? How about loose or missing teeth? Exposed roots (ouch!)? What do you smell? Is there a strong odor that is more than just dog breath? Toxins can be released into your dog’s body affecting his organs and then lead to other diseases and health problems as time goes on. Dental disease isn’t just a cosmetic problem. Despite the fact that treating dental disease is usually successful in clearing up any problems, prevention of dental disease in the first place is certainly the preferable route. Simple measures such as treating dental conditions early on can prevent dental pain and tooth loss further down the road. Daily brushing of all teeth, using a finger brush or soft-headed child’s toothbrush, and canine toothpaste is recommended. Good chew toys – such as raw carrots, edible bones meant for dental health and chew ropes can be very helpful in removing dental plaque and strengthen gum tissue. These chew toys must only be used under supervision at all times, and the pets’ chewing habits must be taken into account. A very strong and determined chewer should not be given the same chew toys as the older Chihuahua! If we all live long enough, we will all probably suffer from a form of arthritis. In fact, 90% of Americans will have some level of arthritis by the age of 40! Unfortunately, so will many of our pets. Arthritis is an inflammation of a joint, due to many different causes including trauma, infection, degeneration, or metabolic reasons. Most often we deal with age-related degeneration, or osteoarthritis. This is a wearing and thinning of the cartilage in the joint, leading to bone spurs and cysts that induce inflammation and pain. The diagnosis of osteoarthritis is often made by patient history and physical exam. Radiographs (x-ray) can help determine severity and location, but they do not often tell the whole story. For this reason, it is important that owners be aware of even small changes in their pet’s mobility and appearance. Early on in the process of developing arthritis, the signs can be quite subtle. A stiffness first thing in the morning or after a long rest, having to ‘warm up’ into an activity, or not being as interested in a long walk or prolonged play period. As the disease progresses, limping after activity, refusing to do any type of exercise, or loss of muscle mass may be noted. In the end stage, our pets can be in chronic pain even without activity, have a significant decreased mobility in the joint, and need assistance with simple activities such as squatting to go to the bathroom. Treatments for osteoarthritis range from simple supplements to radical surgery, depending on the severity of the condition. Glucosamine, fish oil, and MSM all have benefits to the joints. In addition, herbals such as Boswellia and turmeric have been used for many generations to treat the symptoms of osteoarthritis. Physical therapy to help increase range of motion and build muscle mass has also been shown to be very helpful when treating pets that are suffering from osteoarthritis. Even alternative therapies such as acupuncture, canine massage, cold laser therapy, homeopathy, traditional veterinary Chinese medicine, and chiropractic care can have clear benefits. Drug therapy to control pain is necessary in some patients to keep them active and improve their quality of life. Arguably though, the most important treatment (in addition to being a preventative measure) is to have the pet lose excess weight. Extra pounds put additional stress on the joints and can make symptoms worse. In end-stage arthritic patients, surgery can be beneficial – modern medicine has made total hip replacements almost routine, and we are perfecting knee and elbow replacements as we speak. Preventing osteoarthritis is more challenging. Certainly controlling excessive amounts of weight through the use of appropriate amounts of quality food and exercise, before there is an issue is the most ideal approach. Providing supplements like fish oil, MSM, Glucosamine, Omega 3, and buffered aspirin to arthritis-prone breeds early in their life can be beneficial, as these supplements have little to no side effects and are inexpensive. While these supplements may not prevent arthritis, at least they will be present in the body the day they are needed rather than six months later when a joint problem is identified. Sensory perception is the way our pets interpret the world around them – using smell, hearing, vision, taste, and touch. Our pets live very much “in the moment,” and they require keen sensory perception to understand what is happening around them. The symptoms of sensory loss can be quite varied depending on which sense is affected and the severity of loss. Vision loss often starts with a pet having difficulty seeing in dim light – perhaps tripping on the stairs at night or getting lost in a dark room or backyard. Hearing loss can include “ignoring” you while they are being called or looking in the wrong direction. Taste and smell are integrally related, often reported by the owner as a “pickiness” with their foods – preferring soft foods, warmed food, or table foods over their regular kibble. Touch is really a combination of several issues – balance, conscious and nervous input. Losses in touch sensation are often noticed when the pet walks unsteadily, especially when turning or attempting quick movements, and uncertainty on irregular surfaces. There are some simple ways to help our pets compensate for sensory loss. Good lighting, particularly in areas where there are steps or obstacles, is an easy way to help a senior pet who is having difficulties with sight. Keep water dishes on all levels of your home. With hearing issues, clicker training or using a deep voice can be helpful as pets may still hear those frequencies even as other frequencies diminish. In addition, since your pet may not respond to commands, it is not advisable to allow them off-leash in unsecured areas. Loss of taste and smell senses can be easily compensated for by using foods with strong flavors and smells, warming them up to release some of those odors, and adding a small amount of broth or baby food to the dog’s food can help. Putting small amounts of unique table foods such as chicken, sardines, cheese or hamburger in their food can also increase the palatability without unbalancing the diet. 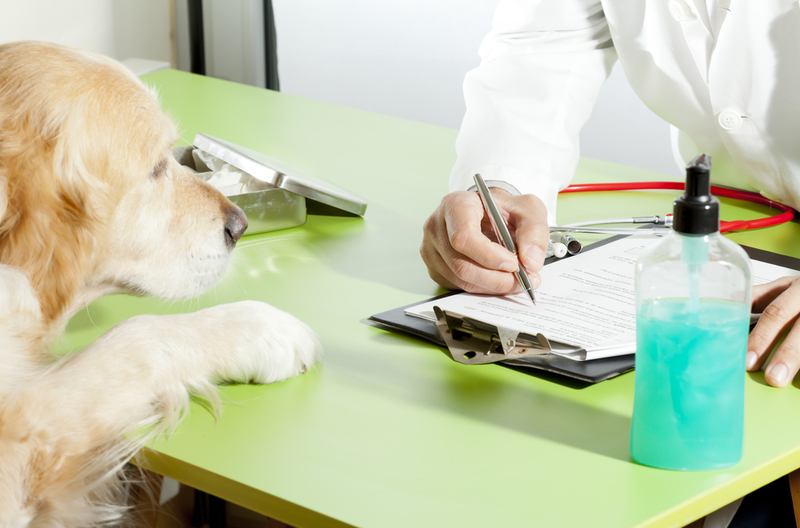 Senior dogs need regular veterinary check-ups; twice a year is a good idea at this stage. That may seem like a lot, but because dogs age differently, twice yearly canine checkups are similar to a human senior citizen visiting the doctor every four years. Your veterinarian will screen for health problems typical of older dogs so you can get your dog the help he needs early on. The last few decades have shown an increased life span for pets because veterinary science, as well as alternative therapies, have made such great strides. Talk with your veterinarian about age-related health problems, alternative therapies, and preventative steps you can take to ensure a long and healthy life for your old friend. About the Contributor: Jennifer Kachnic is President of The Grey Muzzle Organization. In addition to being author of the book Your Dog’s Golden Years – Manual for Senior Dog Care Including Natural Remedies and Complementary Options, she is a regular contributor to a variety of dog blogs, The Denver Dog Examiner and pet magazines including The Bark, Mile High Dog, Natural Awakenings and Animal Wellness. She is also a certified canine massage therapist, animal Reiki practitioner, and a certified therapy dog handler with American Humane Association.